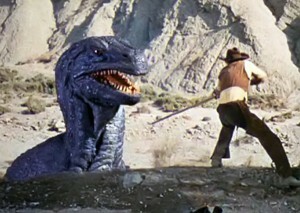 With the new Jurassic Park sequel currently doing the summer blockbuster rounds in cinemas promising computer generated dinosaur overload I felt my own primal urge to pay my respects to the hero of classic dinosaur magic Ray Harryhausen. Now don’t get me wrong, I’m looking forward to seeing Jurassic World tomorrow in all it’s CGI monster gloss, indeed some computer created effects are most impressive here and there, the original Jurassic trilogy of films had some stunning effects made all the more credible by incorporating them with Stan Winston and his teams perfect animatronic full scale creatures to add in camera realism, and there for me is the crux of the issue, making you believe something that’s not real is actually there, in it’s own personal space and invading the personal space of real people in a world it’s supposed to be sharing and interfering with. 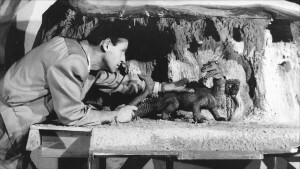 Winston’s perfectly rendered dinosaurs and indeed all his creatures from all his film work anchored said creatures in a visceral context, they looked tactile and real because in a sense that’s exactly what they where. 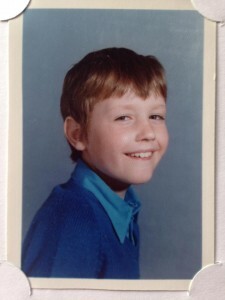 The human eye can detect the difference between virtual visuals that are merely pixels with no true form and those of a 3D object before a camera, and we don’t need 3D HD films to tell us that. 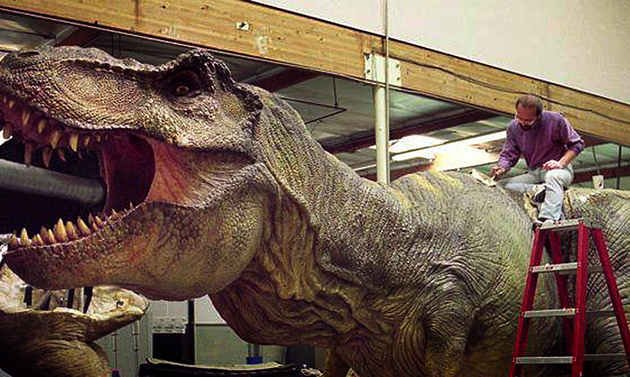 I’ve heard that no animatronic full scale effects have been employed in the latest installment, a sign that film makers are more and more relying solely on CGI. 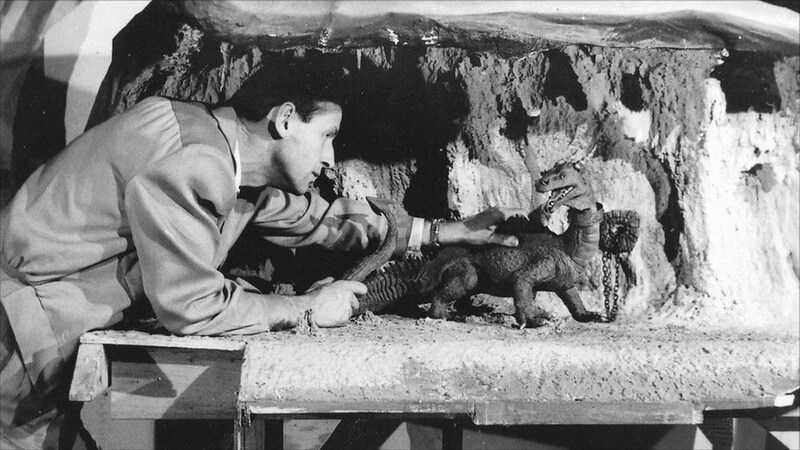 Now I do realise that the art of traditional Stop Motion Animation of Ray Harryhausens craft never really convinced anyone that his monsters were real either, they strobe and jitter and the background plates with the prior filmed live action with actors pretending to react to and fight with the animated puppets always look a tad different in focal clarity and colour to the monsters, but it’s the obvious solid and tactile textured puppets that sell the illusion of really being there that’s somehow ultimately more satisfying. 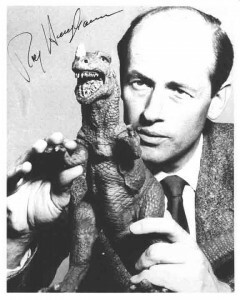 I’m talking as a product of my generation of course that grew up in the 1970’s watching older Harryhausen’s, and not to forget his forerunner and mentor Willis O’Brien of King Kong fame, on TV and the then current ones at the cinema and many kids past the age of 10ish today would no doubt find them laughable. However showing kids younger than this these wonderful films I believe they would still fall under the spell of the magical fantasy and at times scary brutality of say dinosaur Gwangi killing a dwarf carnival worker in ‘Valley of Gwangi’. 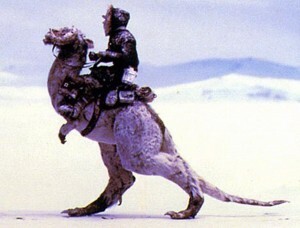 The early 80’s brought about a more advanced approach to Stop Motion from the effects folk at George Lucas’ company and employed it to stunning effect to the Tauntauns and AT AT Walkers in ‘The Empire Strikes Back’. 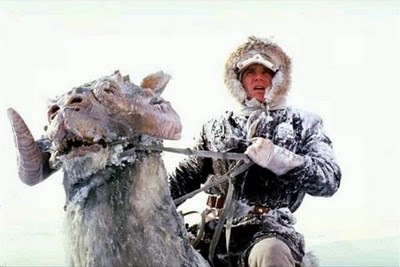 I could still tell then at the age of twelve that they were still animated models but they still felt tangible and again the effects were sold by incorporating life size Tauntaun puppets for Harrison Ford and Mark Hamill to sit on and full scale AT AT legs, feet and undercarriages for Luke Skywalker to interact with. I’m looking forward to Jurassic World, the effects do look good from the trailers, I love rampaging dinosaur flicks and enjoy a big action packed Summer blockbuster in the tradition kicked off by the likes of ‘Star Wars’, ‘Superman’ and ‘The Towering Inferno’ of my boyhood and I’m sure Ray would be pleased with the results, after all it’s about fun and fantasy escape in the dark for a couple of hours and you can’t beat that, but I still know that Ray Harryhausen’s staggery and jittery little puppets will always be where my heart is. 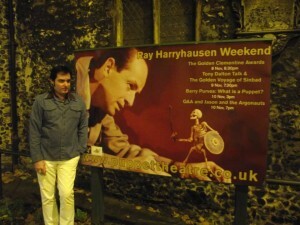 As a conclusion to this blog I’ll round off with a tale of meeting the late Ray Harryhausen’s personal friend and head of the Ray Harryhausen Foundation that archives all of Rays models, artwork, props, storyboards etc from his career Tony Dalton. He presented a talk at the Puppet Theatre in Norwich back in 2013 about Rays special effects work. 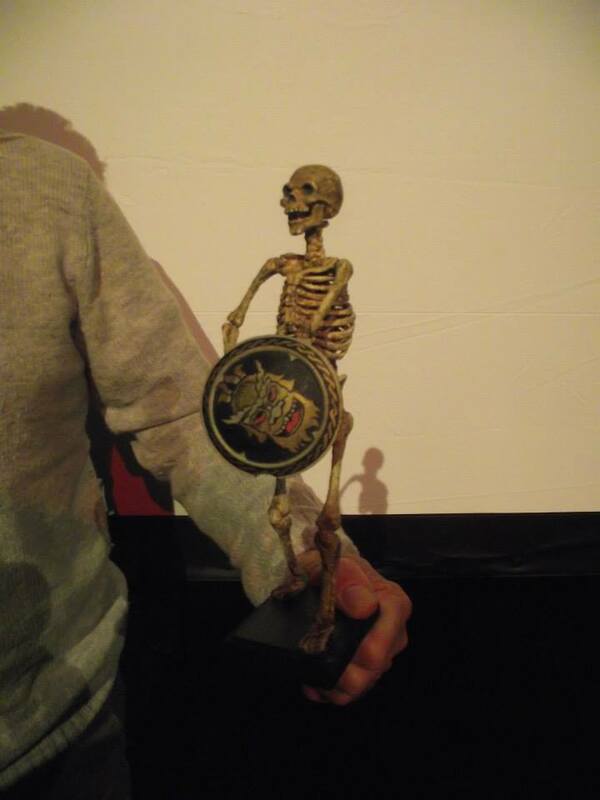 He brought along one of the original skeleton warrior puppets used in the skeleton fight at the climax of ‘Jason and the Argonauts’ from 1963. I had the privilege of having my picture taken with Tony and that sleleton, a bizarre and surreal moment seeing the model that was actually animated in the film, a film I grew up with a lot on school holiday TV when I was a child in all it’s fleshless glory with original sword and shield and preserved very well indeed with only minor amounts of deterioration. 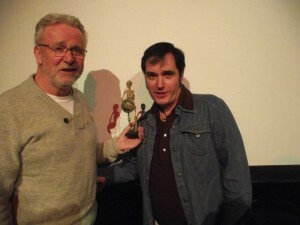 Very moving indeed for a lifelong fan. 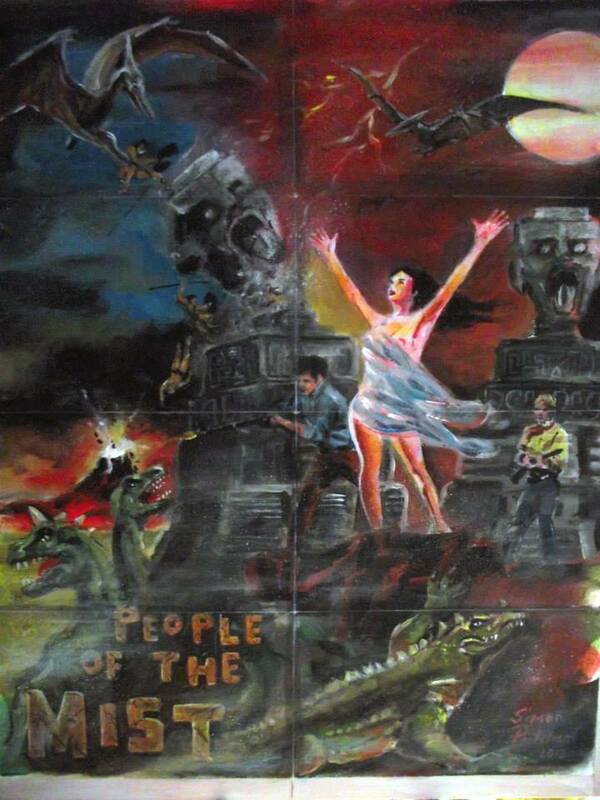 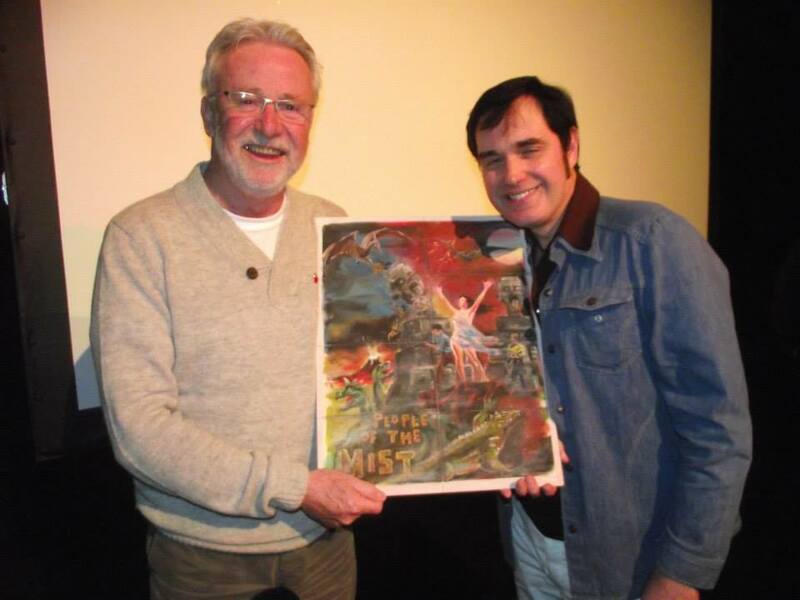 To round off the meeting I presented Tony with my own hand painted movie poster of a film that Ray had planned to make back in the 70’s called ‘The People of the Mist’ before the project fell through, I used Rays original poster sketch ideas to inspire my design. 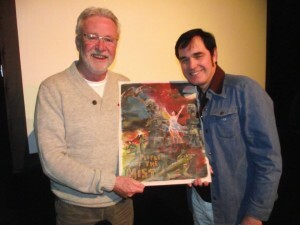 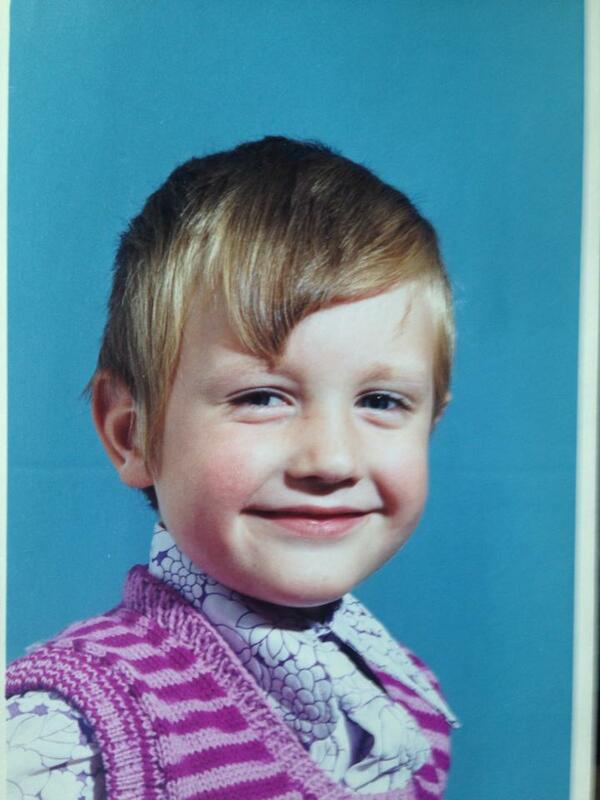 Tony was delighted with the artwork and asked if I’d like it archived in the Foundation…the answer was yes. 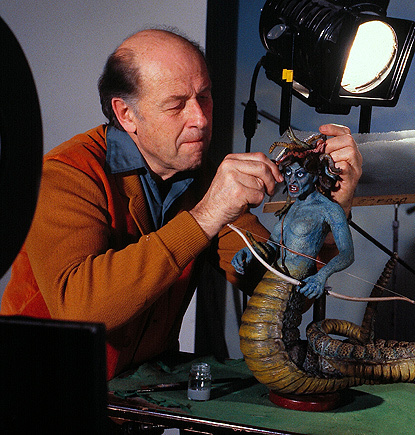 So a heartfelt thanks to Ray Harryhausen for my animated monster childhood…an ongoing love affair.